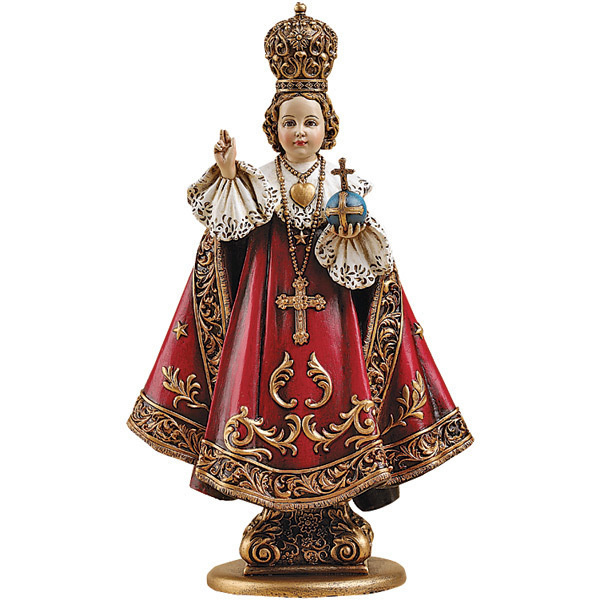 The Infant of Prague has been a part of Christian devotion since the 1300's. This beautiful rendition was crafted with attention to detail by the artisans at Joseph's Studio. Made from resin and stone. Measures 10 inches in height.